The drop-in Yarn Crafters group will meet at 6 p.m. Thursdays February 14 and 28 at the Fond du Lac Public Library. Started by needle arts enthusiast Jan Stoegbauer, who has taught Beginning Knitting and Beginning Crochet several times at the library, Yarn Crafters meet every other Thursday to share the hobbies of knitting and crochet, work on projects and get help and advice from one another. Knitters and crocheters of all skill levels and experience are invited. 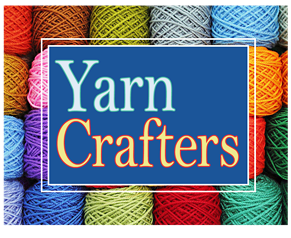 Yarn Crafters gatherings are free; no registration required. For more information, visit www.fdlpl.org or call the library’s Help Desk at (920) 322-3929.